You’re going to pay a bigger fine if you don’t shovel your snowy sidewalk this winter in Missoula, but the city will first warn you and offer to help. And if this is anything like last winter, the season will end with just nine citations issued to scofflaws who repeatedly refuse to abide by the 9 a.m. shovel-your-walk rule. That was the decision Monday night by Missoula City Council members, who appealed to neighbors to help one another keep walkways clear so folks can get around through another season of ice and snow. The penalty? You’ll get a bill from the private company that clears your sidewalk and a fine of $50 to $150 from the city for the time and trouble it went to trying to coax your compliance. That’s a higher fine (up to $100 more) than in the past, plus the city will no longer have its own employees do the shoveling. So you’ll be billed by a private snow-removal company, too. The safety issue is real, said Ward 3 Councilwoman Heather Harp, who said she sometimes sees an 85-year-old man walking in the middle of the street because some sidewalks in his neighborhood are not shoveled. Earlier this year, council members asked city staff members to revise the fines and procedures for both snow and hazardous weed removal. After rejecting one proposal amid citizen outcry, they arrived at Monday night’s decision, approved with a lone dissenting vote from Ward 4 Councilman Jesse Ramos, who sees the enforcement as an unnecessary government intrusion. Removal of hazardous weeds from property also will carry a $150 maximum fine, plus the invoice from a private contractor that removes the weeds. Again, that action only comes after the city warns a property owner to take care of the problem themselves. City staff member Alicia Vanderheiden emphasized that the enforcement is complaint driven. No one from the city drives around looking for snow-covererd sidewalks or weed-infested alleys, she said. 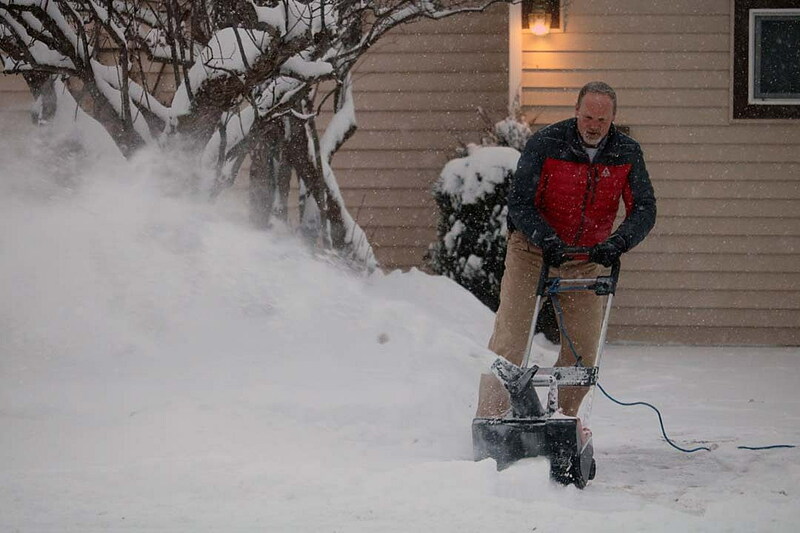 Once a complaint is received, city workers do a visual inspection and leave the homeowner or apartment manager a courtesy notice with information on the snow-removal rules and on private contractors and social service agencies that can help those who cannot physically clear the sidewalk themselves. A second inspection is made a day later, Vanderheiden said, and only then – if the walkway is still unshoveled – does the city issue a notice of violation and call a private contractor to come clear the snow. The city solicited bids from private contractors this fall, then went out for a second round of bids when the prices were deemed exorbitant by staff and council members. Last year, the city received 150 complaints about unshoveled sidewalks, and 31 resulted in notices of violation. Of those, nine property owners were fined, Vanderheiden said. Citing a recent report by Missoula Current columnist Jim Harmon, Hess said the Missoula City Council and local citizens have been fighting over sidewalk snow-shoveling since at least 1896, and likely longer.